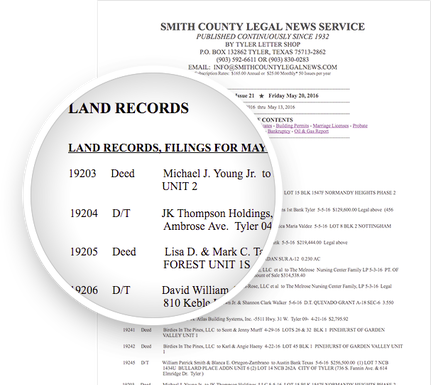 Get instant online access to bankruptcies filed in Smith County Texas, published weekly. Bankruptcy Filings are important to Businesses, Lenders, Landlords, Employers, Community Leaders, Churches, Local Government Agencies, and Demographic based industries. 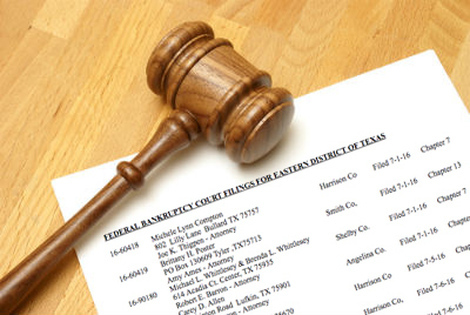 Search for a specific name county or attorney involved with the Bankruptcy filing. Who uses these lists of bankruptcies? Area Chamber of Commerce, Economic Development, City and County Elected Officials are up to date on the economic pulse of the community. Communities can use this as a tool for the economic trends and financial demographics of the area.